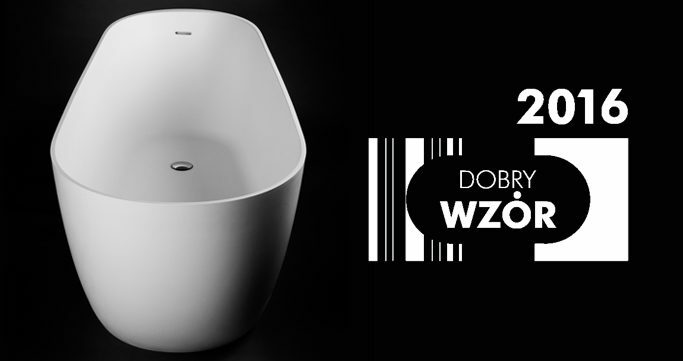 Good Design 2016 • Poznań Marmite S.A.
Silvia bathtub has once again been awarded – this time we are among the finalists of the Good Design competition. Good Design is one of the most prestigious awards in Poland, awarded by the Institute of Industrial Design. The professors of art academies and the tycoons of Polish design comprising the jury distinguished our bath from hundreds of submitted objects. This year’s edition was a record in terms of number of applications, which makes finding a finalist an even bigger achievement. We will know whether we will also be awarded the first prize on 21 October during the gala event. That day will also mark the opening of an exhibition at the Institute of Industrial Design, where we will be able to see all the finalists.